St. Jerome School is a Catholic elementary school (Grades Pre-K - 8) affiliated with the Archdiocese of Philadelphia and St. Jerome Parish. St. Jerome School offers a rigorous core curriculum that is consistent with Pennsylvania and National standards as implemented by the Archdiocese of Philadelphia. In addition to the core subjects, students receive weekly instruction in technology, physical education, music, and art. Our students encounter experiences that blend both traditional and innovative approaches to learning. 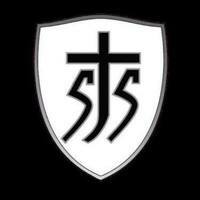 St. Jerome School is fully accredited by the Middle States Association of Schools and Colleges. The accreditation process occurs on a seven year cycle, which St. Jerome most recently completed in the Spring of 2016. Through daily teaching, witness, and example, St. Jerome School strives to instill in its students a lifetime Christian value system and a strong sense of their Catholic Identity. In our mission to educate the whole child, we provide a balance of spiritual, intellectual, social, physical, and emotional experiences, aimed at developing the students’ full potential as responsible members of society. In October of 1955, St. Jerome Parish was established on the Feast of the Holy Rosary. Almost one year later In September 1956 under the guidance of Mother Ann Margaret and two other Sisters of St. Joseph, St. Jerome School was opened. In four borrowed class rooms from St Hubert High School, 266 children formed six grades. Then in September of 1957 St. Jerome School opened with an enrollment of 403 students, adding a second building to the school several years later to support the more than 1500 students. Today, we continue to be a cornerstone of our community providing quality education to the children in the area for over 60 years.